Ohio black mold removal isn’t just something to consider, it’s mandatory for the health of your family. If you allow black mold to go untreated in your home, you are risking much more than the chance of respiratory difficulty. 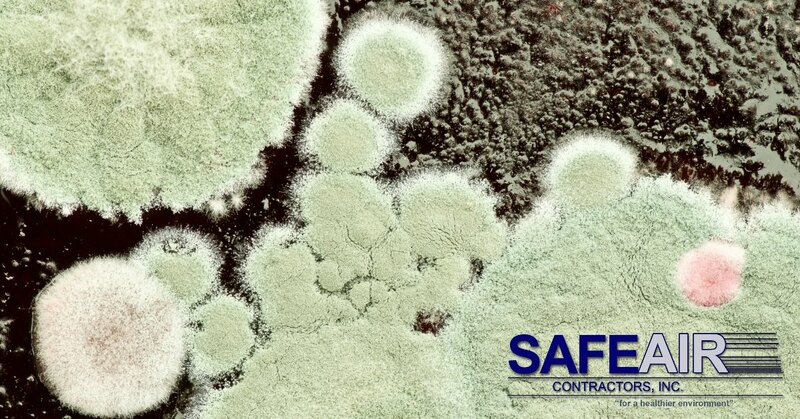 This “toxic black mold” also known as Stachybotrys chartarum can cause something known as “black mold poisoning“. The result of prolonged exposure to black mold infestation, black mold poisoning can cause vomiting, nausea, and is even suspected of causing bleeding into the lungs! Black mold, also known by its scientific name Stachybotrys chartarum is an asexually reproducing mold that produces a slimy mold rather than the dry molds that many people are more familiar with. There are at least fifty species of Stachybotrys that have been identified to date, but the Stachybotrys chartarum as well as S. chlorohalonata are the varieties most commonly associated with dangerous air quality. Black mold requires a significant amount of water to grow (for example, after a flood black mold would be a possibility), but it also requires an environment that offers a growing surface that has low levels of nitrogen and high levels of cellulose. In addition to the perfect growing climate, black mold also requires longer-term exposure to moisture in order to grow. Where some molds are able to take hold rather quickly, black mold requires around one week of moisture exposure in order to take hold in your home. Black mold prefers to grow in warmer climates and warmer areas of the home, but it’s also possible to grow outside of the home on plants and in soil. When growing indoors, black mold is most commonly found on building materials due to it’s need for a cellulose rich, nitrogen poor environment. Dark black in color rather than green or gray, black mold, is dangerous because of it’s potential for causing allergic reactions. These reactions can become exceptionally dangerous if exposure to the mold is long-term or if the individual inhaling the mold spores has a compromised immune system. The term “toxic black mold” is something of a misnomer because molds are not considered to be toxic in and of themselves, they can produce toxic substances like mycotoxins that can be hazardous to human health. Left untreated, black mold can quickly take over a home where it has access to a source of water (a leak or extreme humidity, for example). If you continue to live in a home while this type of mold takes over, you don’t only face the more “traditional” side affects of respiratory difficulties, but you also face the possibility of a severe reaction that has symptoms common to those of chronic fatigue syndrome as well as vomiting, nausea, and bleeding in the lungs. Back in the 1990’s there was something of a hysteria created when two infants died and many children from lower class neighborhoods in Cleveland, Ohio died as a result of pulmonary hemorrhage. At the time of investigation these deaths were linked to exposure to black mold. It wasn’t until after an extensive study by the CDC, however, that the deaths were not confirmed to be caused by black mold infestation (although black mold exposure certainly wouldn’t have been healthy in any way for these children). Although preventing black mold infestation is the preferred method of action, if your home already shows signs of a black mold infestation, it’s imperative to take care of the infestation before it gets even further out of hand. 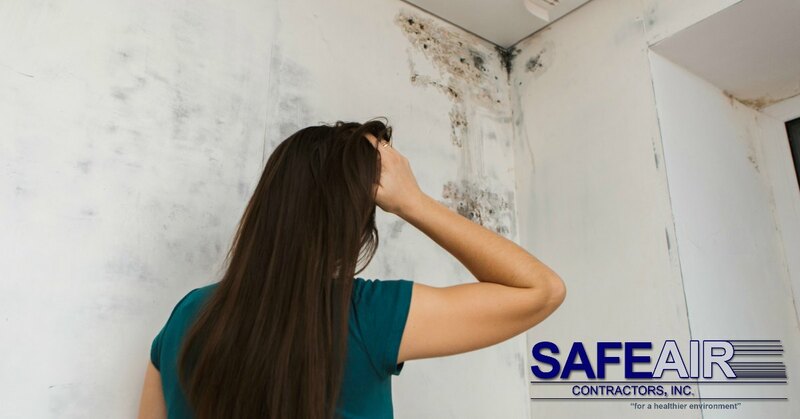 There are some resources available online that suggest taking care of any and all mold infestations yourself by simply scrubbing down walls, but here at SafeAir we believe that your family deserves a real peace of mind when it comes to their health. We want you to have confidence in the fact that your black mold has been completely eliminated but also that you and your family have not been exposed to dangerous levels of black mold spores during the clean up process! You see, when you disturb growing mold during the cleanup process, you prompt mold spores to become airborne where they are more likely to be breathed in and cause serious health problems. When you call in a professional Ohio black mold removal company, you don’t have to worry about lingering traces of black mold being left in your home, but you also don’t have to worry about contamination during the clean-up process. Having been in the mold removal business for almost three decades, SafeAir Contractors have developed a mold clean-up process that guards against contamination during clean-up. Plus, when we have completed your black mold removal project, we always check your air quality to ensure that your home is safe for everyone living there! If you live in Ohio and currently have or suspect that you have a problem with a black mold infestation, it’s crucial that you call a reputable Ohio black mold removal company like SafeAir Contractors. With 29 years of experience in environmental remediation services, you can be confident that SafeAir Contractors are reputable, reliable, and capable of tackling even the worst mold infestations. Ready to leave your Ohio black mold removal to the professionals? Just pick up the phone and call 440-639-1191 today to launch your attack on invading mold in your home right away – what do you have to lose? In fact, you have much more to risk by not calling in a professional Ohio black mold removal company and allowing your family to continue to be attacked by this dangerous and ruthless mold.